Product #18212 | SKU ATHS100ISWH | 0.0 (no ratings yet) Thanks for your rating! 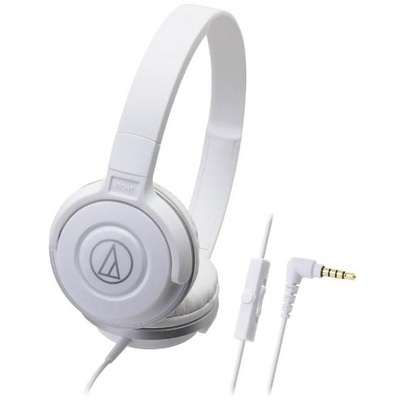 The Audio Technica ATHS100iS is a portable headphone made for your convenience. The featured in-line microphone remote is universally compatible with current smart phones, able to answer and hang up calls as well as cycle through your musical selection. One-side 1.2 m cable minimises uncomfortable pulling and tangling of headphone cable.